Very decorative, but useless. 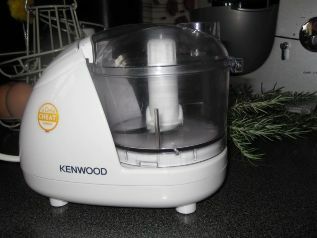 One of those things you get for Christmas if you cook. 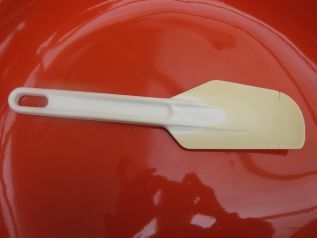 Probably the cheapest and the best spatula in the world, for beating, folding and scraping cake mix. 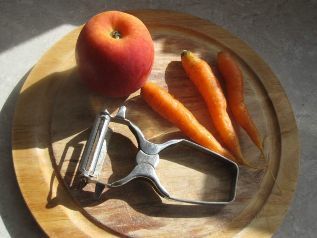 A very nifty tool. 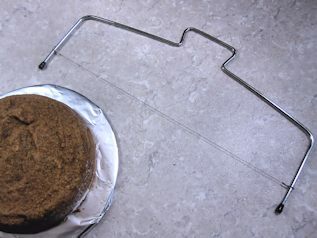 Painlessly, and crumblessly, slices any cake in two or more layers. 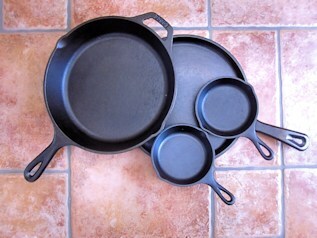 Cast iron makes the most fantastic pans, skillets and griddles. You need to look after it properly, that's true, but it will pay you back. 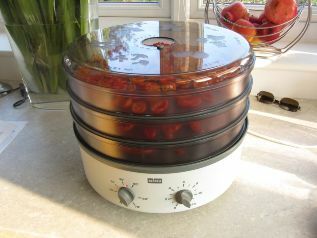 This is basically a blow dryer in the base and a couple of metal mesh trays above it - and it works a treat. 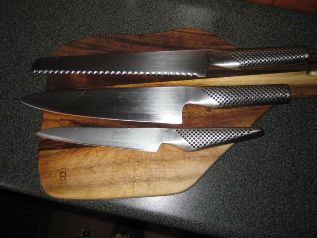 Basic fact: good knives are indispensable and worth paying a fair whack. Global Knives are light and sit in hand well, sharp as laser when new. Authentic Japanese mandoline slicer and shredder. 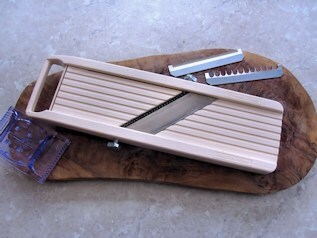 Benriner Japanese mandoline slicer is a league above all the ordinary mandolines on the market. What can I say? It's the wizard of whizzing. 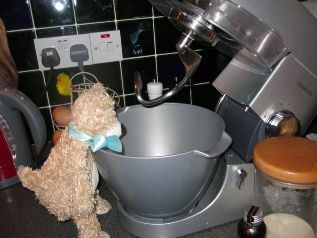 It does bread, cakes, gateaux, biscuits, with only a little help from me. Incredible value for money. 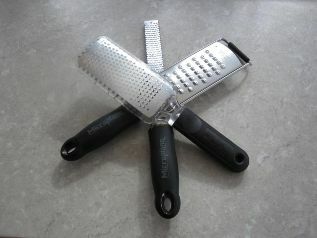 For mixing marinates, chopping herbs, making pesto, puréeing fruit, grinding nuts or almonds – the list is endless. 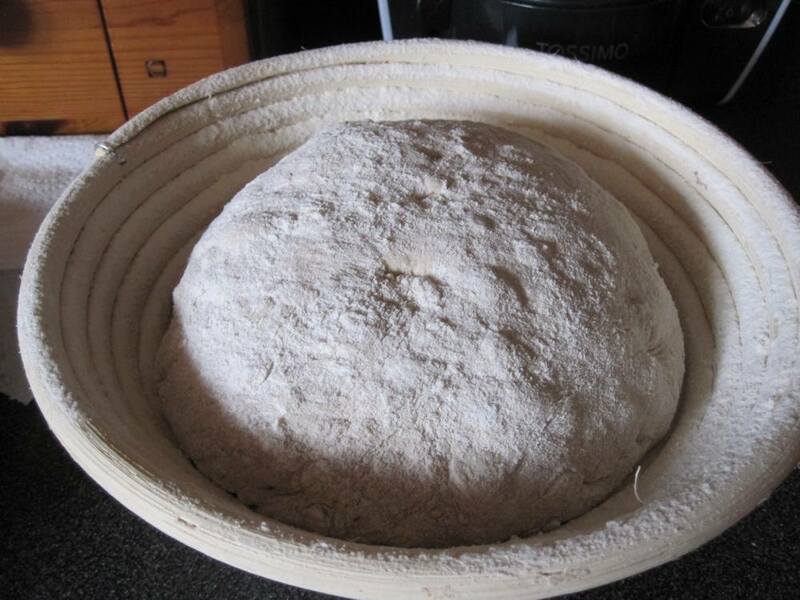 Clay bread baking dome, performs the same function as Dutch oven creating the baking environment high in moisture and temperature, similar to authentic brich bread oven. 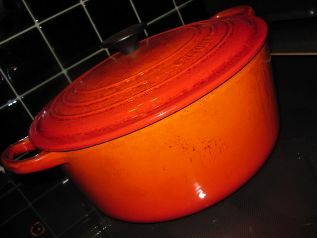 Le Creuset range is worth the money. The beauty of a cast iron dish is that it lets you brown/sear stuff on the hob and then stick it in the oven. 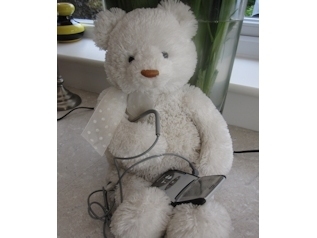 Silly bear - it's not THAT type of thermometer! These tools are razor sharp and stay sharp - I've had them for years and no blunting discernible. 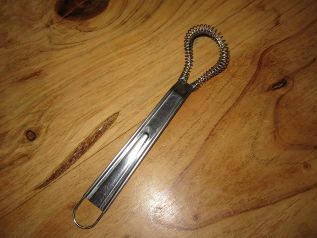 Little whisk, excellent for beating eggs for an omelette, making salad dressings and sauces. 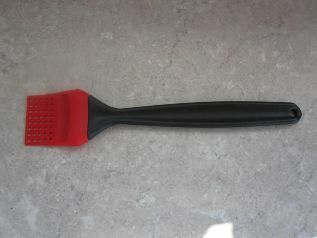 Excellent little thing, so much better than the ordinary hairy brush - infinitely easier to wash and can go in the dishwasher. 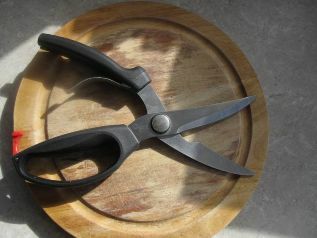 Indispensible for what it says on the tin - cutting poultry. 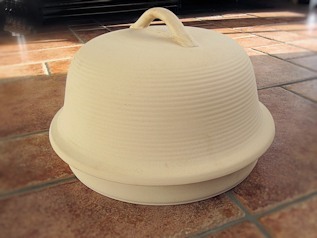 Proving baskets are also called bannetons and as far as I can tell come commonly in two types - made of cane or compressed woodchips. 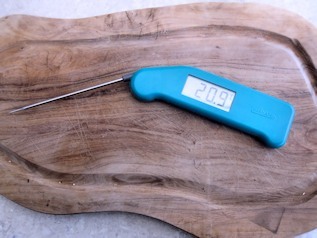 Thermapen digital probe for measuring internal temperature of cooked food. 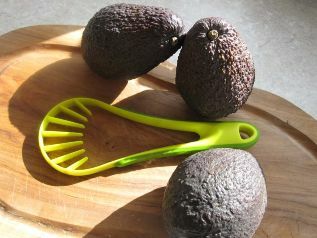 This is better than those swivel ones because it has two sides, one to peel and the other to finely julienne vegetables.